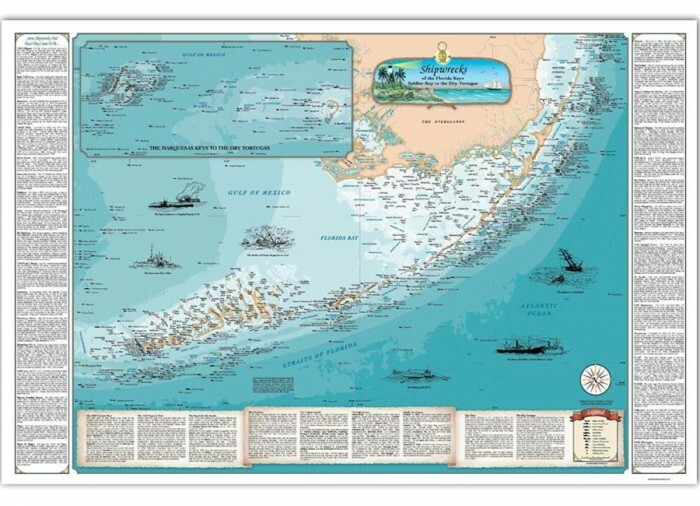 Chart the course of your next adventure with this beautiful map showcasing the location of over 500 shipwrecks from Soldier Key to the Dry Tortugas! 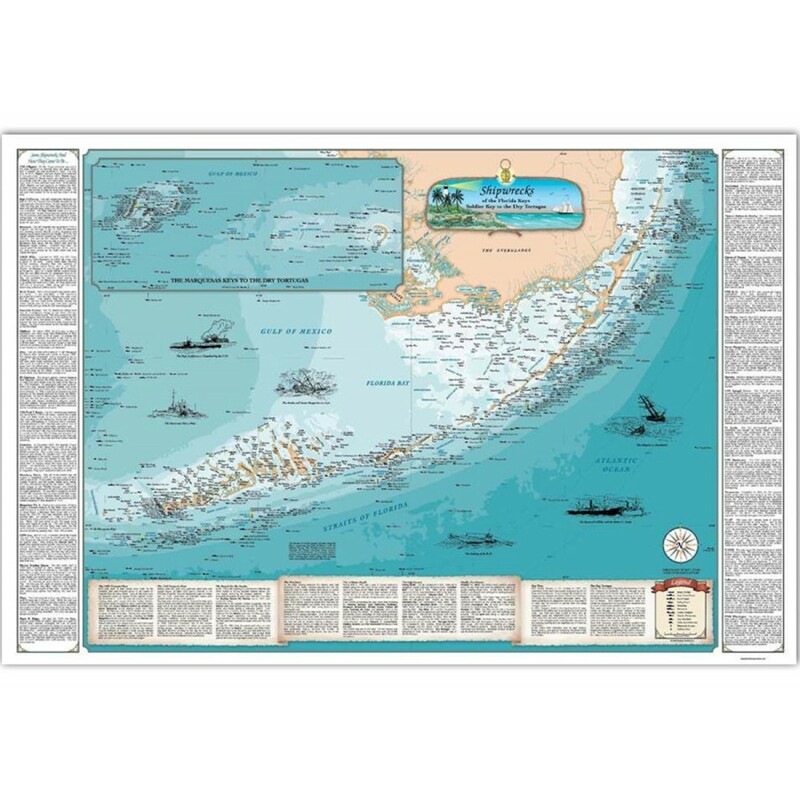 Sealake invested hundreds of man hours into making a map that details areas in the Keys where many a ship have meet their ultimate fate. 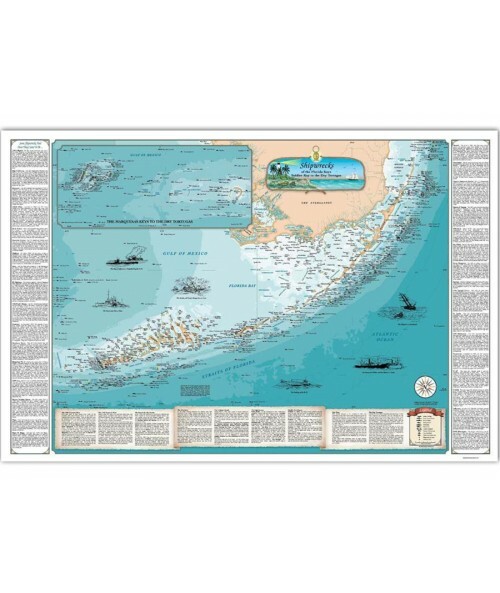 This unique map showcases 33 of the most famous famous shipwrecks including the stories of the Atocha, Valbanerra, El Capitana, Spiegel Grove and much more. Their tragic sinkings are beautifully illustrated in pen and ink drawings which makes it perfect for a standard or custom frame.